This will be our first year heading up to Colorado for the Monolith Festival. If you notice we've already written a few of "our Spotlights" (MF Doom, Thunderheist) featuring a few of the artists, with more to come. 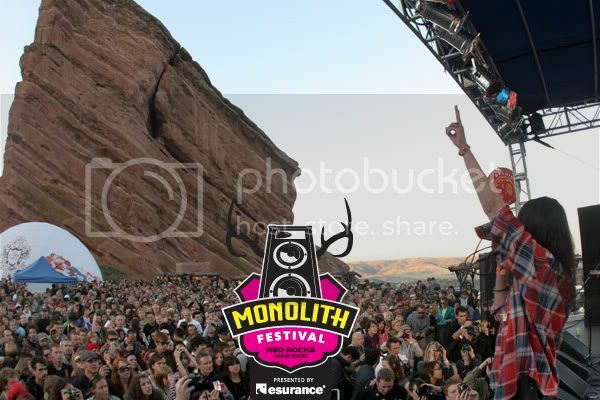 This year's festival takes place on the weekend of Sept. 12th and 13th at beautiful Red Rocks. Tickets are extremely reasonable, purchase the one day pass for $59.50 or the entire weekend for only $110. Or you could roll VIP and purchase their gold pass for $225. Your call. Keep up with everything Monolith Festival via their Twitter, Facebook, and official site. Now onto the schedule.